Sohan Qadri (born November 2, 1932, in Punjab, India) was a yogi, poet and a painter from India who has lived in Copenhagen for the past 30 years. His paintings resulted from states of deep meditation, and were informed by the colors of India: luminous, dye-infused works on meticulously serrated paper. 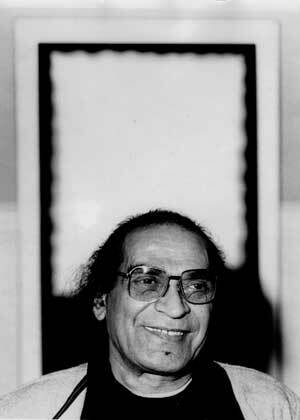 Over his long career, Qadri had interacted with a wide array of cultural figures including Surrealist painter René Magritte, Nobel laureate Heinrich Böll, and architect Le Corbusier. Böll once said, "Sohan Qadri with his painting liberates the word meditation from its fashionable taste and brings it back to its proper origin." He had more than 70 exhibitions in the United States, Europe, Asia, and Africa. Qadri died in March 2011 in Canada after a prolonged kidney aliment. He was 78.